Keep minor transmission repair issues from becoming major ones. All Auto Tech removes old transmission fluid and replaces it with new, clean fluid. The recommendation fluid changes program by taking care of your car. The possibility of expensive transmission repairs may be reduced and your transmission must be ensured it is in working order. In some circumstances, exchange of transmission fluid in Doral is supposed to be every 30,000miles or 2years. Throughout the transmission fluid exchange, car service experts will carefully take out the old transmission and replace it with the new one. The manual transmission fluid exchange process is different from the Automatic process but, they come out with the same conclusion. The names, transmission fluid, and flush change are different services entirely. A transmission fluid change diverts concentrations removing the dirty fluid from the pan by draining it, while a transmission flush clears all fluid in the pan, the torque converter and also the cooler lines and then replaced with new fluid. This depends on how frequent your transmission is being serviced, the kind of service you select also matters a lot. Note: Whichever kind of service you used, you should make sure that the transmission filter is being changed, the fluid used should be suggested by the manufacturer, the pan should also be dropped and inspected in case of any problem. During the fluid change, not all fluid is removed but half of it may remain in the cooler lines and the torque converter. Though all the fluids are not removed, a new fluid is still a functioning service in replacing part of the old fluid. A contaminated fluid is like a pest of transmission as it will cause it to work very hard and overheat. People have argued that a transmission flush is much functioning than the fluid change. The reason is that some of the old fluid will still remain in the transmission after the fluid change, that will contaminate the new fluid which is included, thus weakens its performance. That is the reason why some people prefer transmission flushes. In transmission flushes, all the old fluid will be removed through a cooler line flushing machine or an inlet pump flushing machine and the new fluid will be included. This will encourage the best performance because the transmission now runs a new fluid. A transmission flush is more costly than transmission fluid but it is safe and perfect for your car. In an automatic transmission, the fluid is normally drained, the service pan will be dropped and the filter on the body of the valve will be changed inside the transmission. Although some manufacturers in Doral, Miami, Florida specify a lifetime fluid service and it should never be changed but on a normal circumstance the service should be completed based on manufacturer mileage. It is suggested to keep on servicing the transmission, not thinking of the lifetime service claim, if the car has past history of service being carried out on regular bases. If the vehicle doesn’t have any past record of a transmission service and vehicle is over 60,000 miles, then it will be good to get the car on a regular plan by servicing the transmission. If you are not sure of the records, and the vehicle has more than 60,000 miles, the transmission should not be serviced unless it is being specified by the manufacturer in the advanced interval as it is seen in some CVT and repeated type of transmissions. Automatic transmission servicing involves; changing the internal and external filter, checking the leakages in transmissions cooler and lines, replacing the transmission fluid and making some necessary adjustments where needed. The contemporary automatic transmissions are mostly electrically controlled with sensors in the transmission which monitors the vehicle’s activities from the accelerator pedal area to the engine and speed of the vehicle. The signs provided by the sensors will be utilized by a computer control the shifting process of the gear. The more your engine works at some revolutions per minute range, the ratio of transmission gears are determined when some gears are set in motion while the other gears are made to be inactive. A gear vary in positions, configuration, and size to make the teeth connected and allows the power of engines to be directed and changing the vehicle’s direction, controlling the movement of the wheel, distributing the vehicle’s weight and then controlling the rotation of the wheel speed. Some people in Doral, do not remember that manual transmission comprises of fluid inside for the lubrication of gear. Though the manual fluid can last longer than automatic, it should also be replaced as time goes on. However, a manual transmission repair or service is suggested at 30,000 miles but you can also consult the professionals on when the manual transmission should be serviced. Manual transmissions are different from those of automatic transmissions. Some of the differences are; having both the gear pedals and a gear shift, while automatic transmissions don’t have. A manual transmission involves gear selector fork, collars, clutch and flies wheel. A manual transmission is easier than the automatic transmission. In a manual transmission, there is one main shaft that supplies all the power. The shaft passes through the clutch of a vehicle which is connected to a gear. The function of the clutch is to disconnect and connect the engine from the transmission. When the clutch is released, the real shaft gear is connected to a gear which powers the layshaft. The layshaft consists of the total of seven gears which is combined as one. The process of manual transmission may look difficult, but it is very simple. You need to know more about how manual transmission servicing works. Consult your auto specialists in order to know and keep your manual working. Q. How much is a rebuilt transmission? A. The price of a rebuilt transmission differs depending on the type of car, capacity, and loyalty of the transmission shop. It should be more than a couple of hundred dollars. Q. what do I do to prevent being scammed by the transmission shops? A. 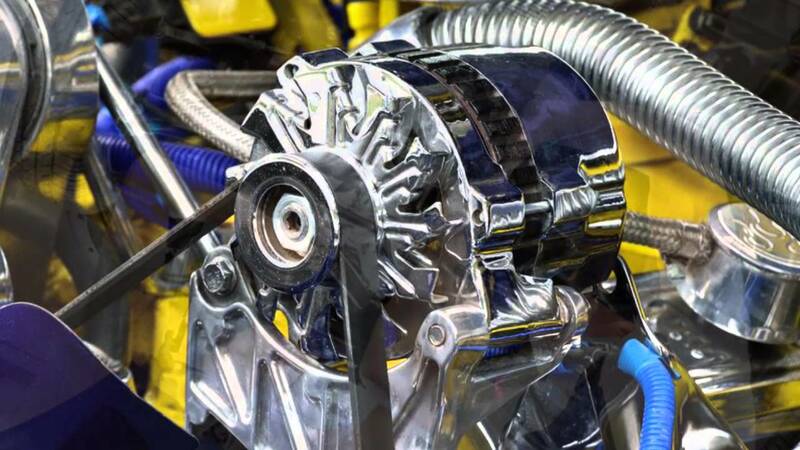 The ways to prevent being scammed by transmission shop is by having knowledge on types of transmission scams such as prices and type of faults in a transmission. However you always can call us to ask more about the exact transmission repair need that you could have. Or visit our tips ans advises page.